Ageing can take a toll, not only on one’s physical condition, but also on one’s mental health. 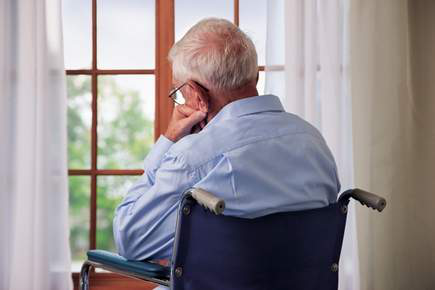 Elderlies are prone to depression which can compound or cause by prior medical issues, making them even more at risk. Unless it is prohibited by their doctor, be sure that your loved ones are still physically active. Physical activity can do wonders for their physical and mental health. It would prevent the body from immobility which can result to poor body dexterity and immobility. In terms of mental health, exercising can help them to lighten their mood. Although they are not capable of doing strenuous exercises and routines, gentle exercises like walking can help their body to be active. Just to be sure, check with their doctor what age-appropriate exercises they can do to keep their body active despite the old age. Some elderlies think that because of old age, they are robbed out of their capability to do things on their own. This can lead to depression and anxiety. Experts in anxiety treatment suggest to give your elder loved ones a sense of purpose to keep them going. Entrusting them with a simple chore can help to bring their confidence back. Assign something that is age-appropriate activities like walking the dog or tending your garden. Isolation is the most common problem amongst elderlies. Due to their condition, they prefer to stay in their rooms and wallow in their loneliness. Being alone can affect their mental health. As much as possible, keep in touch with them and check on them once in a while. They would appreciate your presence. Some elderlies are having anxiety attacks due to old age. Know the basic techniques to keep them calm during the height of their emotions. Learn to decipher the symptoms of an anxiety attack so you can prevent it at the onset.